Every decade the federal government takes a census of the American people to get a better understanding of where people are living. Resources are allocated based on this census, and new geopolitical boundaries are established. Every ten years the Association of Statisticians of American Religious Bodies (ASARB) also takes a census. 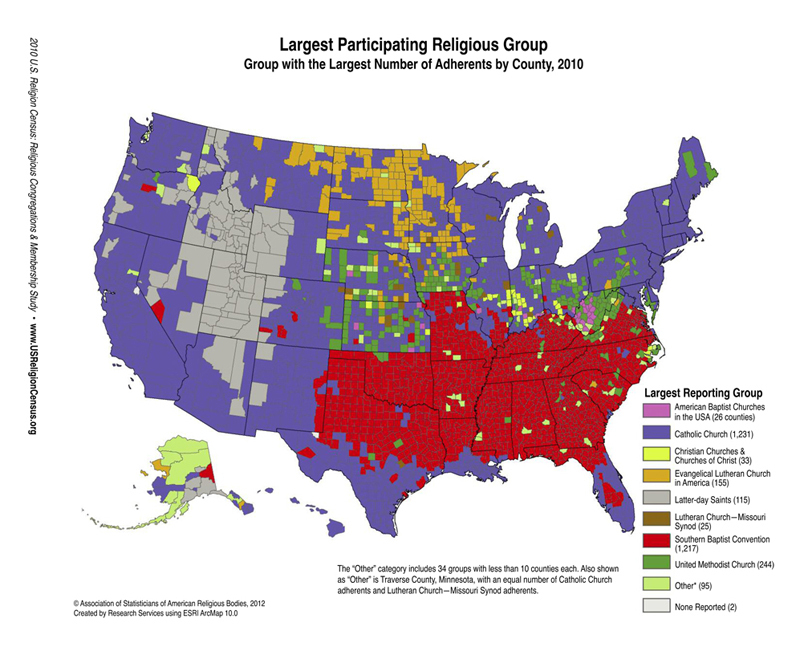 The group measures the number of “adherents” to a particular religious belief, compiles the data into usable sets, and watches for significant demographic changes in this county-by-county study. The results of the “2010 U.S. Religion Census: Religious Congregations and Membership Study” were released at the Associated Church Press annual meeting in Chicago in early May. Metro Lutheran will be analyzing data from the 2010 Report over future months and releasing information about Lutherans in Minnesota and Wisconsin.